Valid only at Harte INFINITI. Does not include tax or misc. charges. Must present coupon at time of purchase. Not valid with any other offers. Applies to most vehicles, Ester or Synthetic oils do not apply. Valid only at Harte INFINITI. Does not include tax or misc. charges. Must present coupon at time of purchase. Not valid with any other offers. Applies to most vehicles, only Synthetic oils apply. Valid only at Harte INFINITI. Does not include tax or misc. charges. Must present coupon at time of purchase. Not valid with any other offers. Applies to most vehicles. Valid only at Harte INFINITI. Does not include tax or misc. charges. Must present coupon at time of purchase. Not valid with any other offers. Good on INFINITI models only. Includes maintenance advantage brake pads, resurfaced rotors, clean & lube all components. Valid only at Harte INFINITI. Does not include tax or misc. changes. Must present coupon at time of purchase. Not valid with any other offers or with valet/loaner service requests. Good on INFINITI models only. 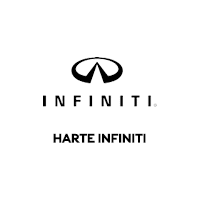 Valid only at Harte INFINITI. Does not include tax or misc. charges. Must present coupon when order is written. Not valid with any other offers or with valet/loaner service requests. Good on INFINITI models only.